Today we responded to the Low Pay Commission's consultation on the Government’s minimum wage rates and the Taylor Review, calling on the Commission to encourage more employers to go beyond the government minimum to ensure their staff earn a real Living Wage based on what they need to get by. The introduction of a higher minimum wage for over 25s led to a pay rise for millions of people and was a huge win for the campaign for a Living Wage. But there are still over 5.5m people paid less than the wage they need to live. Clarifying that the government’s ‘national living wage’ is not calculated based on an assessment of what low paid employees need to make ends meet. c. The fact that the real Living Wage includes a separate London rate – to reflect the higher cost of living in the capital. 3. Signalling that employers that can afford to do so should consider going beyond the government minimum to pay a real Living Wage that is calculated based on what people need to meet the costs and pressures of their everyday lives, and signposting employers to the Living Wage Foundation for support and advice on how they can do this. 4. 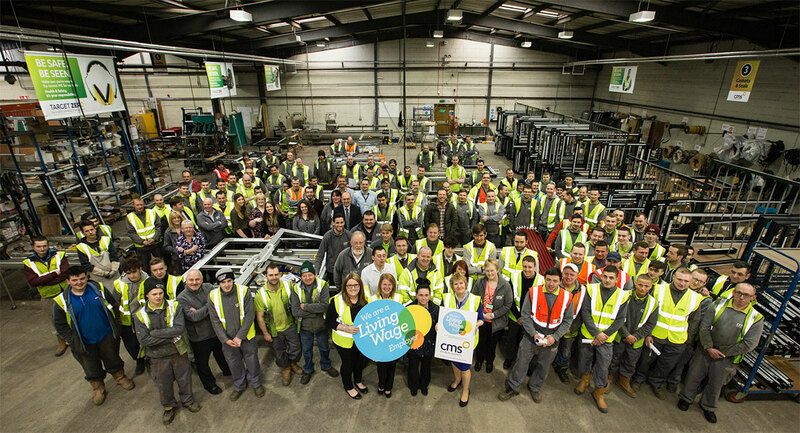 Becoming an accredited Living Wage employer, to signal their commitment to being a responsible employer as well as reflecting their mission to help as many low-paid workers as possible without any significant impact on employment or the economy.